Why Do HVAC Systems Need Pressure Sensors? In a building, quality control is fundamental. Pressure sensors closely monitor pressure changes and indicate if a predicament arises. 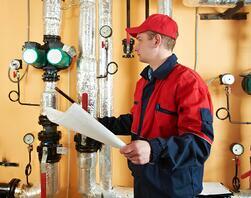 Pressure drops across rooms or across a filter can alert service technicians for maintenance. Pressure transducers monitoring differential pressure in HVAC systems are especially important for critical applications such as stairwell pressurization, clogged filter detection or cleanrooms. 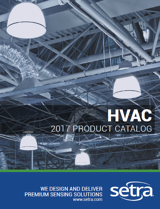 Sensors make HVAC systems more efficient by measuring air flow and pressure though a system for effective air distribution. 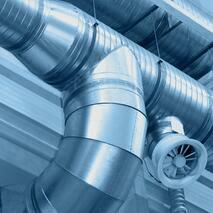 Buildings require a certain amount of air flow depending on the building function and average number of occupants. For example since a mall has a large amount of traffic and people emitting CO2, pressure sensors ensure that a greater amount of airflow is getting pumped back into the building, so individuals can breathe easily. Pressure sensors are especially beneficial in cleanrooms by assessing and monitoring air pressure, quality and ventilation; all important considerations in a cleanroom environment. Through measuring pressure and air flow of individual rooms, building owners can optimize heating, cooling, and air flow. 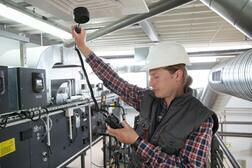 By increasing the efficiency of the HVAC system, sensors can reduce the buildings energy consumption and costs. Detecting areas for maintenance can also reduce energy costs by preventing unnecessary energy loads from malfunctioning equipment. Pressure sensors can also ensure compliance with legal required standards. CLICK HERE to learn about Setra’s pressure transducers.